Volkswagen surpassed Toyota in global car sales so far this year, but at OffLeaseOnly, Toyota is still king, following a national trend which also shows Toyota sales exceeding Volkswagen sales. 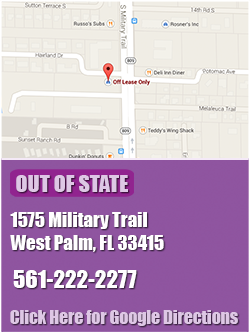 Not to mention the extremely large selection of Toyota models in inventory. In fact, OffLeaseOnly customers purchased approximately 40 percent more Toyota models than Volkswagen models during the first half of 2015! OffLeaseOnly sales figures show that OffLeaseOnly sold 1,126 used Toyota models during the first half of 2015 compared to 807 used Volkswagen models for the same period. At OffLeaseOnly, used Toyota choices are out of this world, with nearly 300 used Toyota models available at any given time to OffLeaseOnly customers. But Volkwagen lovers need not lament! OffLeaseOnly’s huge Volkswagen inventory is just as impressive, with nearly 150 used Volkswagen models in stock at any given time, offering the best selection around anywhere! 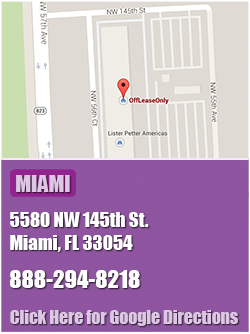 OffLeaseOnly Used Volkswagen Inventory at OffLeaseOnly Miami. For years, Volkswagen and Toyota have competed globally for the largely symbolic title of Top Automaker with Volkswagen taking top honors so far this year. Volkswagen edged out Toyota with the sale of 5.04 million vehicles worldwide in the first half of 2015. Toyota sold 5.02 million vehicles for the same period. 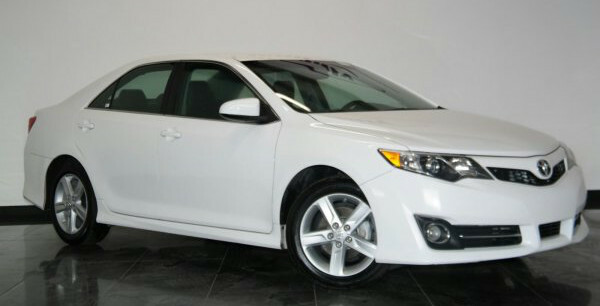 OffLeaseOnly Used Toyota Camry is a top seller! OffLeaseOnly used car sales show more customers chose used Toyota models over used Volkswagen models is no surprise due to the impressive selection. Volkwagen has historically been outsold by Toyota in the United States and at OffLeaseOnly. Both brands are top sellers at OffLeaseOnly, where owner Mark Fischer has amassed an incredible inventory of affordable, like-new models so his customers can find their dream Toyota or Volkswagen with ease! Fischer’s goal is to provide the biggest, best and most affordable selection of used cars for sale and his inventory is proof that he has succeeded. 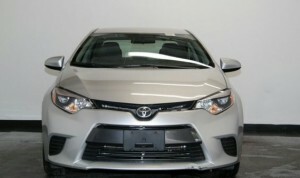 OffLeaseOnly’s top selling Toyota models are the Camry, followed by the Corolla, the Sienna and the hybrid Prius. OffLeaseOnly’s top-selling Volkswagen models include the VW Jetta followed by the larger VW Passat sedan, the iconic VW Beetle and the sportier VW CC sedan. OffLeaseOnly sales personnel say customers love the Toyota brand because the car maker pays close attention to trends, makes constant improvements and produces affordable, economical vehicles that last, said OffLeaseOnly sales associate Robert Palermo. 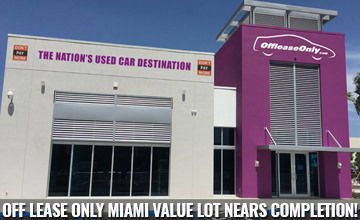 OffLeaseOnly Used Toyota Inventory on display at OffLeaseOnly Miami. Lake Worth resident Maidee Diaz Machado bought a used Toyota Camry at OffLeaseOnly and couldn’t be happier. Machado fell in love with a gorgeous used 2014 white Toyota Camry and was delighted with the $13,999 price tag. OffLeaseOnly’s gigantic inventory is full of amazing used Toyota choices. Inventory typically includes over 300 used Toyota models for sale, including close to 150 Camry models, 80 Corolla models, 35 Rav4 models, and at least a dozen each Avalon, 4Runner, Highlander and Prius models. What’s not to like? Check out our pre-owned Toyota models and find your dream car today and save thousands. Remember, every OffLeaseOnly used car comes with a complimentary Carfax report for added peace of mind. 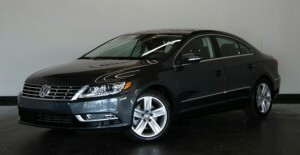 OffLeaseOnly Used Volkswagen CC sedan. Volkswagen has its own loyal devotees, and those who choose the European brand love it and stand by it. OffLeaseOnly Used Volkswagen Jetta, one of OffLeaseOnly’s most popular Volkswagen models. It’s no surprise that Toyota outsells Volkswagen at OffLeaseOnly and domestically. It’s always been one of the best-selling brands around. OffLeaseOnly sells so many Camrys that it stocks about 50 used Camry models at each of its dealerships to provide an excellent selection of color combos. Adolfo Pesquera bought a 2013 Volkswagen Beetle, then drove it to San Antonio, Texas. 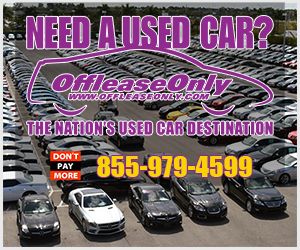 OffLeaseOnly has nearly 300 used Toyota models available for sale because of the brand’s enormous popularity. Volkswagen fans, however, can shop an enormous selection of the BEST used Volkswagen models around, with nearly 150 models to search! OffLeaseOnly Volkswagen inventory typically includes 30 Jetta models; 35 Passat models; 40 CC models; 15 Beetle models; and several Golf, Routan, Tiguan, Toureg and EOS models. 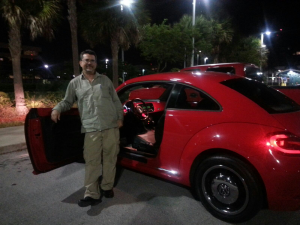 Former Fort Lauderdale resident Adolfo Pesquera bought a 2013 used Volkswagen Beetle just days before he moved to San Antonio, Texas, and is glad he did. Pesquera had owned an older model Passat for years and never considered anything else but another Volkswagen, citing huge respect for German engineering. 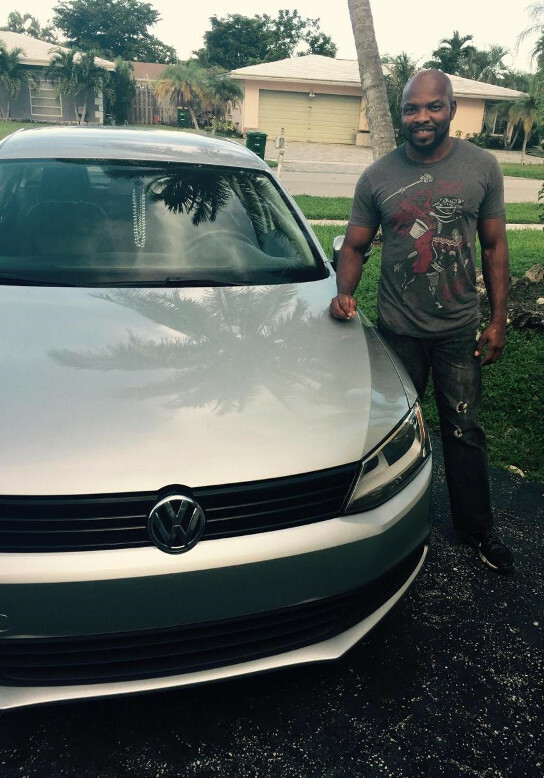 Tamarac resident Romel Bryan with his 2014 OffLeaseOnly used Volkswagen Jetta. He figured he would have to purchase another older model Passat or Jetta. Much to his delight, he got an incredible deal on a gorgeous red 2013 used Volkswagen Beetle, which he then drove to a new job in San Antonio, Texas. 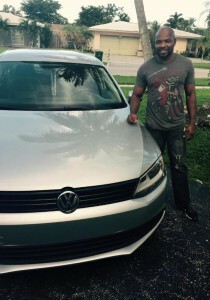 Tamarac resident Romel Bryan bought a 2014 OffLeaseOnly used Volkswagen Jetta for his wife because he had owned one before and had a great experience. He said the car is reliable and also great for transporting his two daughters. “I love it,” he said simply. Need a Volkswagen or a Toyota and want to get the best used car at the best price around? 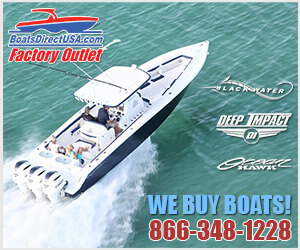 Stop by one of our stores and check out our amazing inventory! Find out more about the OffLeaseOnly car shopping experience by reading thousands of customer reviews on the OffLeaseOnly Reviews Site! The OffLeaseOnly review site aggregates reviews from Yelp, Google, Edmunds, Cars.com, DealerRater and Better Business Bureau in one convenient location. Don’t take it from us, read our OffleaseOnly customer reviews and see why Off Lease Only is the Nation’s Used Car Destination! Stop in to one of four Off Lease Only locations today and drive home your OffLeaseOnly used Toyota or Volkswagen today! 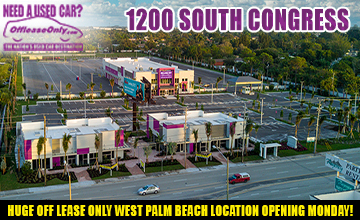 Off Lease Only Miami Value Lot Nears Completion! 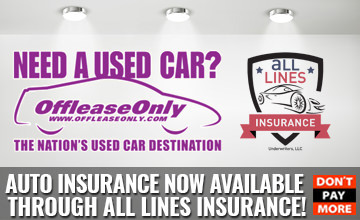 Auto Insurance Now Available through All Lines Insurance!